All this talk about the beast from the east (a reference to the current weather) had me all excited on Saturday. 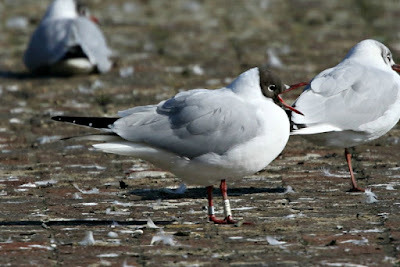 It was cold and for the first time in a long time, it was coming from the east - just what us London birders like. I had the opportunity of three things for the day - go up north to Thurso and search for a Taiga Merlin, head south and see another Ross's Gull or check London for its gulls. And of course, after a hectic first week back after half-term and the current weather, the last option won out and it was time to check the delights of south-east and east London. 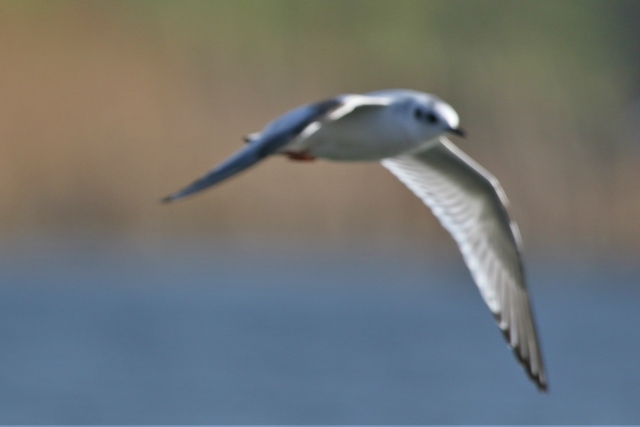 Unfortunately the Little Gull was brief as it turned out, and despite waiting for over an hour, there was no repeat show and no opportunity to improve on the record shots I got initially. Therefore, I headed over to Thames Barrier Park via the Woolwich Ferry, where there were good numbers of Common Gulls and a first-winter Yellow-legged Gull. No Caspian Gull, which wasn't a surprise given the paucity of them this winter compared to 2016/17. Not a bad day overall, as any February day in London with a Little Gull is notable enough in itself.